The Mare Imbrium (Sea of Showers) is estimated to be around 4 billion years old. 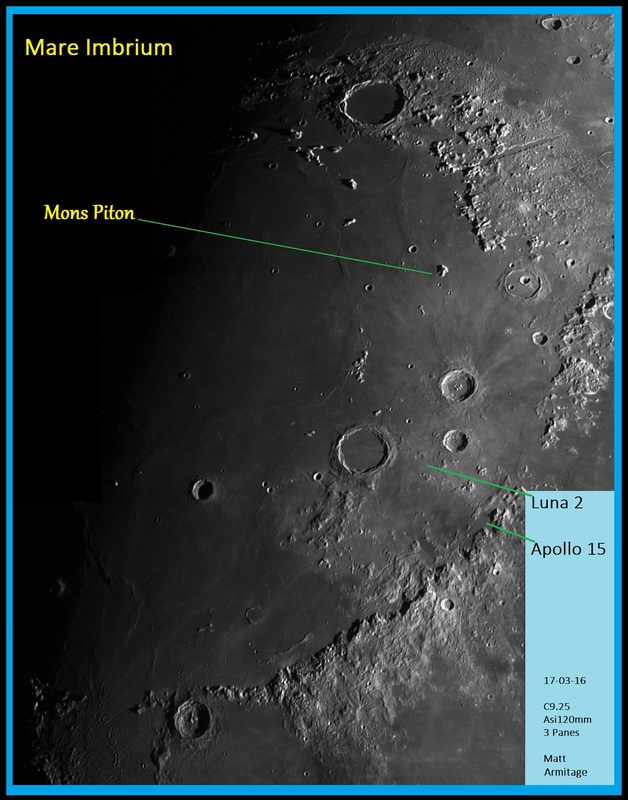 It can be seen with small telescopes and binoculars towards the northern edge of the Moon. This massive lunar feature is one of the largest craters in the Solar System (757 x 757 miles). It was formed when a very large object hit the Moon then it filled with lava. Mountain ranges can be seen on its rim - Montes Alpes – north-east, Montes Apenninus – south-east. 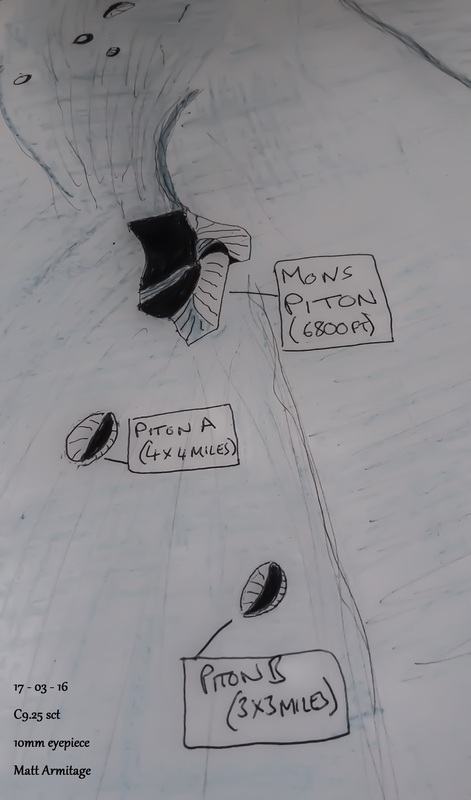 There are some isolated mountains like Mons Piton and Mons Pico which can appear dramatic as they cast long shadows. The image is a mosaic which was made out of three separate images stitched together. The separate images were taken by the best of 3000 frames which were stacked. The drawing was made from sketches at the telescope.